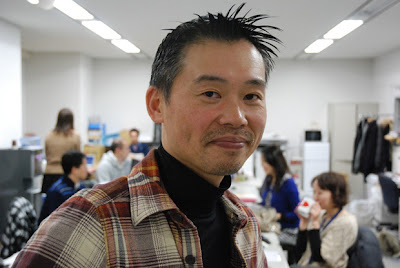 "Hello everyone, I am Keiji Inafune. As I once wrote in my blog, I was very touched by your movement, “100,000 Strong For Bringing Back Mega Man Legends 3“. I am now independent, away from Capcom, so as you can tell, I stand in the same position as all of you when it comes to Mega Man Legends 3. I stand beside you cheering for the same cause and hope. I personally feel grateful for all your love for the title, and I respect your long-lasting passion. I will continue to personally support all your efforts. I thank you all for showing so much love towards my very favorite creation. As a game creator, I promise to continue creating more games that will appeal to all of you moving forward." Ultimately, Inafune's words have no true bearing on the current Mega Man Legends 3 situation. But nevertheless, it's comforting to know the he shares in our passion. He's one of the guys! Thanks to Skybane Zero for keeping us in the loop! Old news, he always wanted a DASH 3, as much as the 100000 Strong people. But now that he no longer works on Capcom, he can't do anything about it. Top Man (or Men): Inafune, I think (game) should be cancelled. Inafking: Huh? Why? Didn't you greenlit it? Top Man: Yeah, kinda, but I think no one would be interested on it. But if you want, I will let your team continue working on it, but the budget will be cut on half so we can work on something else. Top Man: Oh yes, we decided that (game B) should be cancelled too. You don't mind, right? Top Man: Did you say something? Inafking: I need time, that's all. I'm busy now, can we talk about it later? Top Man: But cancelling now would be better, no? @Over Imagining Man: yes he helped with Dead Rising and Lost Planet. Two franchises that sold more than most Megaman titles with their first two entries. See the coincidence here >_> He left an overmilked franchise and two new franchises that hadn't been milked and already more successful. He gave them substance to feast on as Megaman ran out. If anything, he is partly to blame here. Keiji was literally the only person keeping focus on Megaman. The moment he left, he signed its fate. @Anon #2: Well, not really; the Legends 3 dev team were obviously compassionate about the project and could likely have completed it had it not been for the higher-ups. Dunno if Universe's dev team was similarly enthusiastic, but I have a hard time believing Inafune would've retired without leaving both teams detailed notes or something. Why do people still care? I mean, it's not going to happen. If it were to, it would be changed so much that it would no longer be what you wanted. Sure, I'm still a little upset, but it was nearly a year and a half ago. Get over it. @Radix: No I meant this. Keiji's presence at the company was the sole reason why those very higher ups allowed Megaman to trundle on in the state he was in. When he left, there was no reason to continue a franchise facing declining sales that had long ago begun to struggle with obtaining high retail sales. What also influenced is the potential fall out. Just like how people worry about the slowly approaching retirement of Miyamoto, and a Metal Gear without Kojima involved, Capcom was afraid that without Kojima, many fans wouldn't touch the 2 games without Keiji's involvement, especially since there was already a backlash over Universe which Keiji was part of to begin with. It could be argued that without Keiji, Universe would have even less sales than if he had, and the same logic could be applied to Legends. @8:55 AM Anon: Because it's not like Capcom's handling of that cancelled game was one of the poorest in recent memory. @12:08 PM Anon: Maybe. (Though you say that is if we know Capcom's exact reasoning behind canning those games, AND it's hard to justify dropping one of them before the demo that was meant to determine its fate was released) But I'm sure there are plenty of instances of a series surviving without its original creator. @Radix: Remember, a full on proper Megaman title hasn't broken a million units in a long time, and because of that, without Keiji involved, Capcom may consider that, due to the opinions of many, that without Keiji, people won't trust what they put out. If Legends 3 came out right now, and was going to have story DLC(that isn't necessary like Fire Emblem's isn't necessary), would you trust it to be not in the game already? Extra content hidden in the game like 9&10, or all their recent fighters? Or that there wouldn't be some kind of revised version on the home consoles with more content later? Or that features on the box wouldn't actually be in the game and would not be added later on? That it wouldn't be broken/glitchy? The issue I have there is that there hasn't been a "full on proper Megaman game" over the course of this entire console generation. Of course that may just be my personal skewed view of things, but I'm referring to a full budget home console game. Megaman 9 and 10 were nice, but they aren't going to sell anywhere near as much as other games that are given full budgets in terms of both production and advertisement and to expect anything else is pretty foolish in my opinion. As for Capcom, they have a lot of work to do. Treating their fans and consumers with a little respect would be a nice place to start.